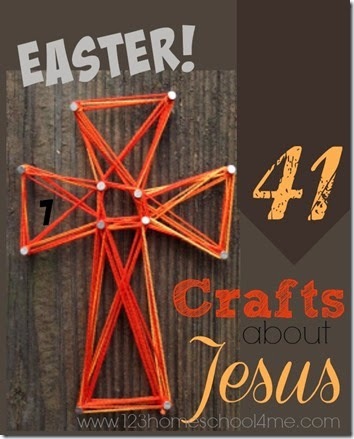 Here a 41 Easter Crafts about Jesus so you can focus on true meaning of Easter. These are fun to make with kids from Toddler, Preschool, Kindergarten, and 1st-6th grade. We have used many of these as part of our Easter Sunday School Lessons. Kids will have fun remembering the real reason for Easter with these fun and creative Easter Crafts about Jesus.